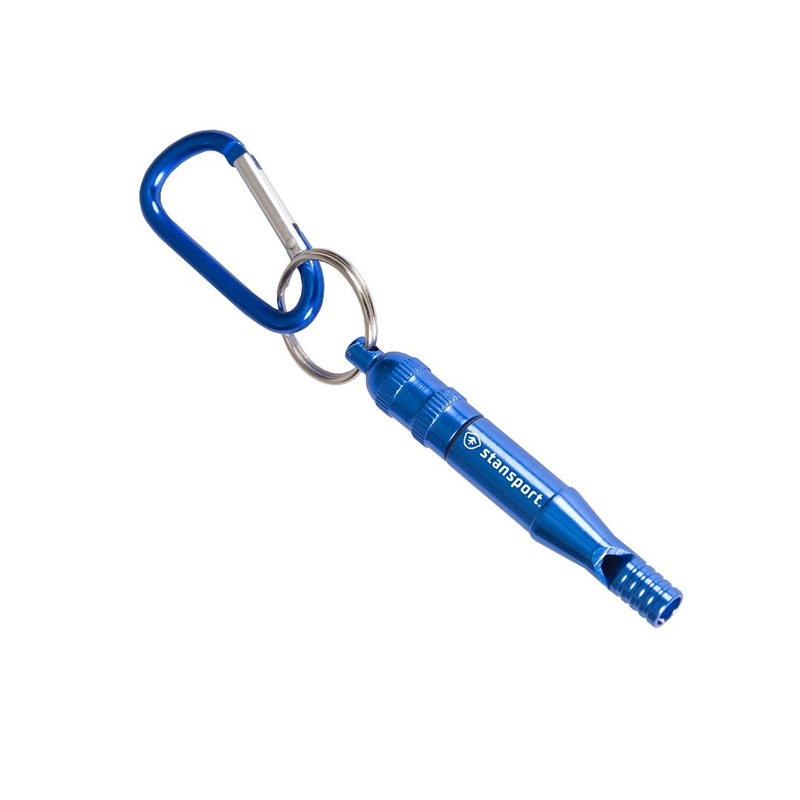 Aluminum emergency whistle with waterproof, O-ring sealed compartment. Includes “In Case of Emergency” form listing contact info of who to notify in case of emergency, and room to list allergies, conditions, medications, etc. Waterproof compartment can hold identification form, medications, and other small items.